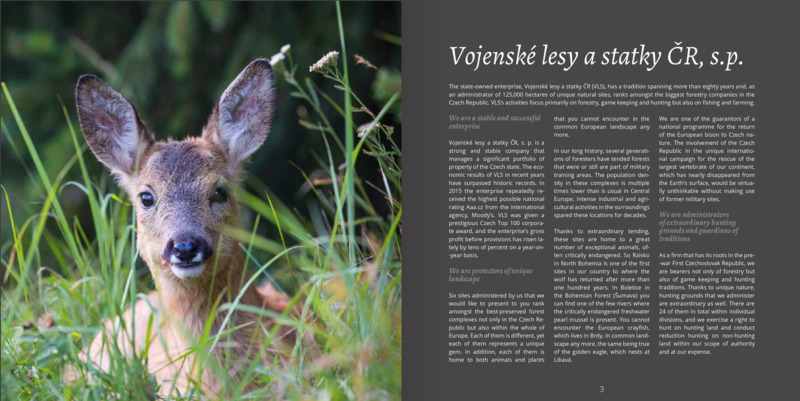 Unique nature, care with tradition - Vojenské lesy a statky ČR, s.p. Vojenské lesy a statky ČR (VLS) is a state-owned forestry company with more than 80 years of tradition. We are engaged in forest management, hunting, as well as agriculture and fishing in military districts and former military training areas; thanks to this specific use, these areas were spared from the bustle of civilisation for a long period of time. Their settlement density is therefore much lower than what is normal in Europe. The unique territory under our management belongs to one of the best forested areas on the continent and is home to a number of rare species of animals and plants. VLS also provides specialised services for the Czech Armed Forces, mainly securing military facilities.